Branson gospel shows, tickets, schedules and information for 2019 & 2020. 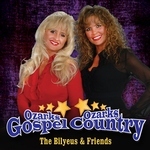 Branson, Missouri is a beautiful place to visit during the Christmas Season and there are a variety of gospel shows in Branson for you to choose from. Please click on a show in the list below below to find information, tickets, schedules, photos, videos, and maps for that particular show. While Voices of Glory Michael, Avery, and Nadia Cole were in the top 5 of their America's Got Talent season, Today in AYO they are in a league all their own! Voices of Glory stars in the new show AYO and delivers an epic adventure in sound, light, dance, and joyful emotion!